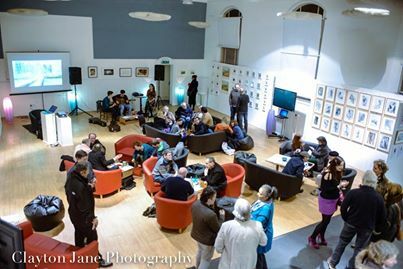 As from this April Go Create will be running a monthly gathering of creative people at the Creative Innovation Centre in Paul Street Taunton, to inspire and develop creative projects and collaborations in the Taunton Deane area. Anyone interested in getting involved in community arts projects, events and activities should come along. These monthly gatherings are for all aspects of creative practice from poetry, music, visual art, design or anyone with a creative bone in their body. No age limit. The creative gathering will take place on the second Tuesday of every month from 7.30—9.30 starting April. The event is free to Go Create members but new enthusiastic people interested in creativity in their community are welcome to come long for free for their first visit to find out if this is something they would be interested in. 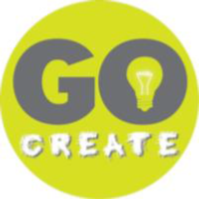 Go Create was created by a group of like-minded people formed from the Creatives Club which was established at the CICCIC 6 years ago. The Go Create members have been very successful in making the arts visible and accessible to all in the community notably through the very successful annual ‘Taunton Live – Festival of the Creative & Performing Arts’. Other successful community projects include music performances and concerts, school projects, talent shows, public art commissions, touring workshops and exhibitions. Go Create is putting Taunton on the regional map – supporting creativity and diversity in the community. Please join us if you think you can help in any way. We would love to meet you.